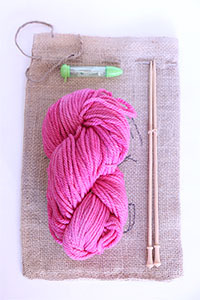 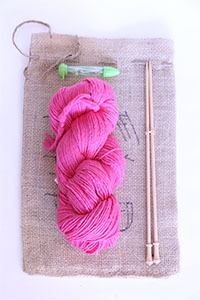 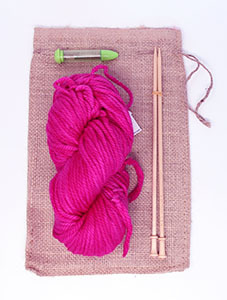 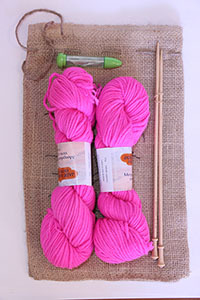 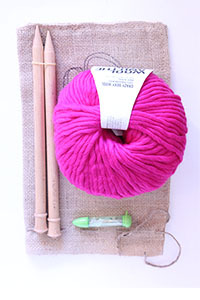 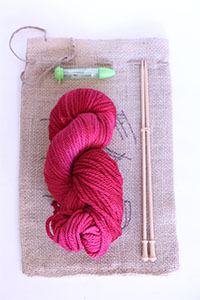 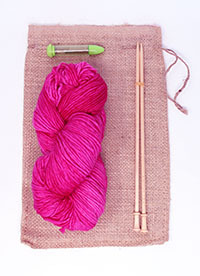 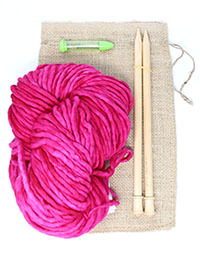 The Chunky Pink kit features malabrigos 2-ply chunky yarn in Shocking pink. The chunky is a 2 ply knits up much more quickly than the regular worsted, plus it has a little more body - so it holds its shape better - the better for the ears! 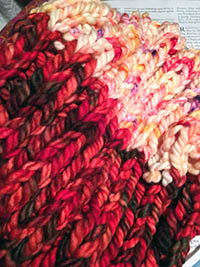 Have you made a hat yet? 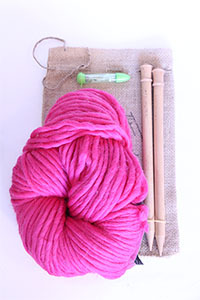 This kit features Malabrigo Chunky Merino in SHOCKING PINK!